Education takes time, especially in the medical and nursing fields. Sometimes it takes longer than expected. Currently, due to nursing faculty shortages, nursing shortages, and brick-and-mortar limits, many nursing schools experience far greater demand than supply, resulting in waitlists. But what’s the average nursing program waitlist time? In this blog, we’ll discuss average waitlists times by program and what’s better: sacrificing a bit of extra dough for a private program with no waitlist, or waiting longer for a seat in a cheaper public program. Is it worth it to invest more than expected in your education, in a different college than you expected, to become an RN earlier? Let’s take a look. Public schools are the ones that attract potential nursing learners the most. The low cost of their programs is attractive to learners who don’t want to go into debt for their education. This section will cover public schools’ waiting times as almost all private nursing schools, like ours, Nightingale College, have no waitlists for their programs. All waitlists vary by area. The more schools an area has, the lower the demand for education will be and therefore, the waitlists will be shorter. The waitlists often vary by state, due to approval and licensing issues. California, for example, is notorious for long waitlists. Areas that have more schools often have shorter waitlists. Waitlist time also varies by program of study: ADN, BSN, or RN-to-BSN. Let’s go over each of these individually. Associate degree nursing programs have the longest average waitlist time due to being the highest demand program. “The Future of Nursing,” a book by the Institute of Medicine, reads, “At present, the most common way to become an RN is to pursue an ADN at a community college.” With that being the case, it makes sense that community colleges have the longest wait time for ADNs, so it may be cheaper to pursue a degree in another avenue. In some areas, you can expect to wait up to three years for a community college program. At a public or private university, the wait can vary from one semester to four. Learn more about Nightingale College’s ADN Program, which has no waitlist. Average waiting times for Bachelor’s of Science in Nursing degree programs are slightly less than the ADN counterparts in the same city. However, the waitlist time varies by area, with those areas that have large numbers of schools (usually urban areas) usually having shorter waits. Waits can still average from one to four semesters. Learn more about Nightingale College’s BDN Program, which has no waitlist. 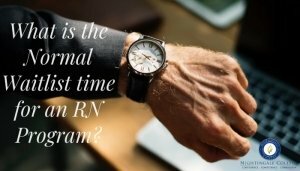 Many RN-to-BSN programs are online and, as a result of this, it is rare to find an RN-to-BSN program with a waitlist. If your program of interest has a waitlist, look into other comparable options to see if something else might work. Learn more about Nightingale College’s RN-to-BSN Program, which has no waitlist. Will completing pre-reqs for a nursing program help me get in faster? One of the biggest traps that nursing learners fall into is completing pre-reqs for a school’s nursing program before being accepted. Many learners will do all the necessary prerequisites with a school before they have been guaranteed a start date for the nursing courses. This is a BIG mistake, because even though you’ve completed some courses with the institution, they are not required to admit you to the program, and you may not get as much credit for your work at another school. So when you complete those courses, they may simply put you on a waitlist for another four semesters – when you might’ve completed an entire nursing degree in the same amount of time at another school! Which brings us to our next point. Is it worth it to wait? Should you wait around for a slot in a nursing program to open up? Or should you pay extra and get into a program that will admit you right away? Here’s your answer: compute the opportunity cost. Use this blog post to find the average salary of an RN in your state. Call a program you are interested in that has a waitlist, and ask what the LONGEST waitlist time could be for someone wanting to enroll (just to be safe.) Ask this program what their tuition is per semester. Call any additional programs that you may be researching and interested in applying to and ask the same questions. Call a program that has no waitlist and ask what their tuition is per semester. Compare what you could be making as an RN with the difference in cost. As discussed in this video, a private college’s program may end up being cheaper than a public one due to the long waitlist times at public universities. If both programs are of similar caliber, you could become an RN faster with a private college. In summary, in most cases it is NOT worth it to wait for spot to become available, as the opportunity cost of a nurse’s salary is higher than the difference in tuition! Should you consider an LPN first? Another option you have is to become an LPN first, then complete an LPN to RN program. We don’t recommend this option as it is far more expensive than the other options. Don’t let the price stop you! Although the price of some nursing programs may be daunting, nursing school is an investment. Once you graduate, you will be working as an RN and the payments that seemed so astronomical before may seem a little more within reach. Calculate the opportunity cost of a waitlist so you don’t end up paying more money in the long run! Many schools also offer financial aid help, or scholarships to lessen the financial burden. So, instead of waiting in a waitlist to start pursuing your dream career, make an investment in your future! Find out more info about our Programs! Nightingale College is nationally accredited through the Accrediting Bureau of Health Education Schools (ABHES). What’s the difference between national and regional accreditation? Watch the video below to find out. We also have programmatic accreditation for our two programs. The Associate Degree Nursing Program is accredited by the Accreditation Commission for Education in Nursing, Inc (ACEN). The Bachelor of Science in Nursing Program is accredited by the Commission on Collegiate Nursing Education (CCNE), the body that also backs both BYU and U of U. We are also a signatory to the White House’s Joining Forces Initiative. This initiative helps service members and their families find educational programs, ease transferability of credit, and increase job training. To learn more about Nightingale’s accreditation, visit this website. complete all their didactic classwork online, and complete all their lab requirements in lab locations at local instructional sites Nightingale has set up in partner facilities. There are currently nine DDC locations throughout the three states, with more on the way. To see a full list of partner locations, or to learn more about becoming a DDC partner, click here. Our fully accredited ADN Program, outlined above, can take as few as 16 months to complete. The program teaches foundational nursing principles, with classes such as physiology, pharmacology, and acute care. For learners that need to complete all general education classes, the length of the program is five semesters. A large number of people are interested in becoming an RN, so awareness of our ADN program is high, but what most people don’t know is that Nightingale also offers an RN-to-BSN program. The RN-to-BSN Program is also fully accredited. The program is designed to further develop skills and leadership qualities of RNs. The program is entirely online and will improve knowledge in key areas such ethics, critical care, gerontology, health promotion, and disease prevention. Plus, the program is employer focused, encouraging BSN-learners to fulfill a leadership role and work alongside their employer to find solutions to facility-wide problems. The program with general education requirements is designed to be completed in three semesters, but can be completed at a slower rate at no extra cost to facilitate the continuation of work while completing the program. Our program design is unique. Instead of having a large central campus that all learners have to travel to, Nightingale partners with local care centers and hospitals to provide labs and clinical opportunities throughout widespread areas. This model allows learners in rural communities to stay local while attending school. Some communities are too small to sustain a full brick-and-mortar nursing program, which is why Nightingale is such a welcome solution for rural areas. With learners also completing most of their coursework online, the burden on the community is reduced. The learners are then assigned clinicals in a local facility, which helps that facility stay afloat. Many learners continue to work in those facilities after the completion of their degree. According to the U.S. Bureau of Labor Statistics, by 2020 the nursing field will be in need of over a million new registered nurses. The nursing shortage throughout the U.S. is already significant. Hundreds of rural facilities are strapped for nursing help. Nightingale’s partnership model will provide a pipeline of local nurses for these facilities, lifting them out of a downward shortage cycle. Our unique model also allows for exponential growth. With online programs, class size is not limited by classroom size, so Nightingale can educate a large number of nurses to meet the demand. Nightingale College continues to grow with the help of forward-thinking health care facilities to address the growing need for nurses throughout rural America. Want to learn more about Nightingale College’s innovative mission? Visit www.nightingale.edu to learn more. Every year, National Nurses Week focuses attention on the diverse ways America’s 3.1 million registered nurses work to save lives and to improve the health of millions of individuals. This year, the American Nurses Association (ANA) has selected “Nurses Leading the Way” as the theme for 2014. Annually, National Nurses Week begins on May 6, marked as RN Recognition Day, and ends on May 12, the birthday of Florence Nightingale, founder of nursing as a modern profession. Traditionally, National Nurses Week is devoted to highlighting the diverse ways in which registered nurses, who comprise the largest health care profession, are working to improve health care. During this week, Nightingale College honors its registered nurse graduates, current RN nursing students, and all nurses that walk in the footsteps of Florence Nightingale. Florence truly lit up the path for our success with her unwavering values. Today and always, Nightingale College and its graduates walk in her footsteps of excellence, integrity, respecting humanity, continuous improvement, collaboration and accountability, and going beyond self. Nightingale College understands the role RNs play in the ongoing improvement and transformation of health care systems of this great nation. ANA reports, “The Affordable Care Act and the Institute of medicine’s (IOM) Future of Nursing report places nurses at the center of health care transformation in the United States.” Nightingale College invites RNs everywhere to positively influence the quality of care and overall performance of the health care system to which they belong. Selecting which nursing school to attend is important. Choosing the right RN or BSN program for you is critical to your success in and after school. This video outlines the Opportunity Costs associated with selecting the right college for you. Let’s say that we have two nursing programs with identical outcomes. One has a total program cost of $12,000 and is 24 months long and the second has a total program cost of $40,000 but can be completed in 16 months. Please consider All else in the programs to be equal, accept for the money and length of program, for example: the same student, same teachers, same learning opportunities, and same curriculum is taught and learned at both programs. If I was to ask you right now which program would you want to attend there would be, most likely, a universal response…the first one, because tuition is just under one-third the cost of the second. Because most everyone answers program number 1 there will, most likely, be a high number of applications. Which means limited seats available, wait lists, denial letters, and for some, years of little to no career progression. But what about program number 2, because the tuition cost is over 3x that of program number 1 we put it out of our minds. Let’s look at the cost of that decision. Abigale at program 2 has a cost of $40,000 + she has her RNs income over the 8 months. 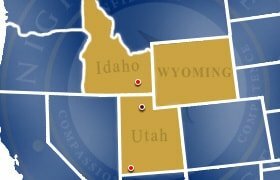 According to bureau of labor statistics, and lets just pick a state, let’s say Utah, they report the average annual wage of an RN to be $59,810, so let’s estimate semi-conservatively and say starting wage for a new nurse is $45,000. That’s $ 3,750 per month, so 8 months of this wage is 30,000. So Abigale at program 2 has a cost of $40,000 + the potential income of $30,000. The loss of $30,000 of earnings, if she attends program 1, is the opportunity cost of attending that program and not getting the RNs salary sooner. Which Nursing Program Looks Better? Attendance at Program 2 is advised because the difference in tuition cost is outweighed by the income of an RNs Salary for those 8 months. And an 8 month head start in the work place for some professions could mean that graduates from Program 2 are training graduates from Program 1. This evaluation is the opportunity cost associated with selecting school number 1 over school number 2. Now let’s look at a second situation where Abigale could attend two programs, still with the costs of $12,000 and $40,000, but this time the program lengths are the same, but, because there are so many applicants at program 1 Abigale is denied entry into program 1 for one year…..remember all else being equal. With program 2 however, Abigale starts this year. What is the opportunity cost associated with selecting program 1 over program 2 by the time Abigale would graduate from program 1? At program number 1, Abigale waits 12 months, start the RN program, graduates with a cost of $12,000, gets licensed and starts working as an RN. At program number 2, by this time, Abigale has started and finished her program, got licensed and has worked for 12 months as an RN earning a starting salary of what we mentioned earlier, $45,000. Abigale at program 2 has a cost of $40,000 + 1 year of salary of $45,000 and an entire year of work experience. So I ask you again, Why should you attend a Program with a higher tuition? And the answer is: When the opportunity cost outweighs the cost of tuition. Just to wrap up, Opportunity Cost is critical and will help you make the best decision for you and your financial future. Each of these items may play a role in your opportunity cost calculations. Thanks again for joining us! And this has been another production from Illuminations!